Upholstered Beds by La Lune - Certain to Bring Sweet Dreams! Upholstered Beds by La Lune – Guaranteed to Bring Sweet Dreams! 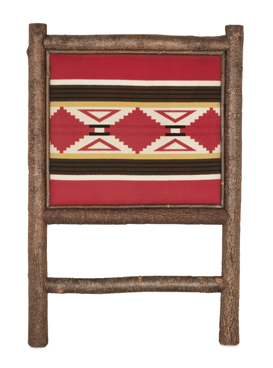 Posted June 19, 2014 by La Lune Collection & filed under Interior Design, Rustic Beds, Rustic Furniture. The perfect bedroom is more than just a place to rest, and there aren’t many things that generate a desired sense of tranquility like the elegant comfort of an upholstered bed. The feel of fabric on a headboard is soft and cozy – and also solves the problem of trying to position pillows in “just the right way” for reading and propping oneself up. Another benefit of an upholstered bed is that it allows one to express his or her own individual style through the selection of fabrics and leathers. By choosing different colors, patterns, or textures, the same upholstered bed can go from sophisticated to playful, from masculine to “girly” – the design possibilities are truly unlimited. La Lune Collection boasts a beautiful selection of upholstered beds and headboards, all available in La Lune’s ten (10) attractive and durable fabrics – or, if preferred, customer’s own fabric or leather may be sent to our factory for application. In either case, La Lune Collection’s master upholsterers carefully create an upholstered bed or headboard that is certain to bring sweet dreams for many nights, years, and generations to come! 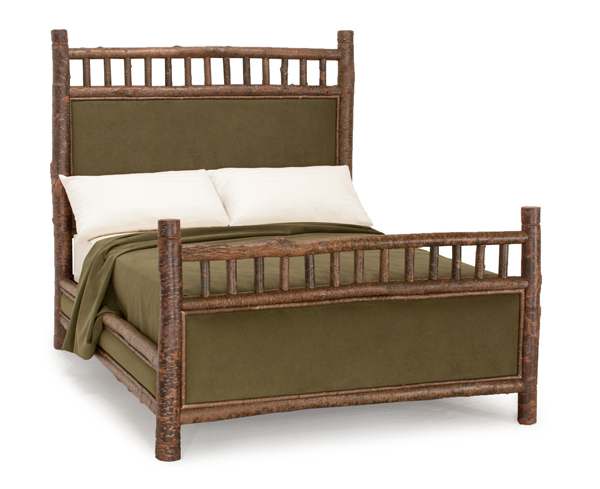 A luxurious shade of moss green suede graces the fine upholstery work on this Rustic Bed #4243 – and, two precise rows of poplar pegs “parade” across the top of its headboard and footboard to create a distinctive design feature. 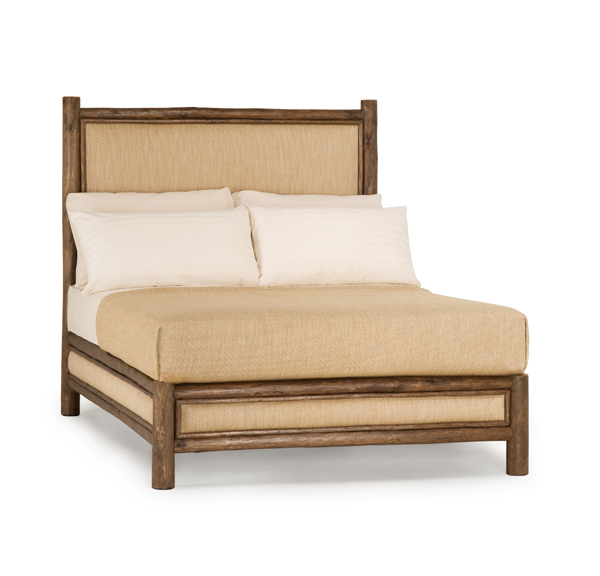 Sophisticated, wheat-colored textured linen fabric was selected to upholster this Rustic Bed #4098. Simplicity truly is beautiful, as evidenced by its clean, classic lines and uncomplicated comfort. 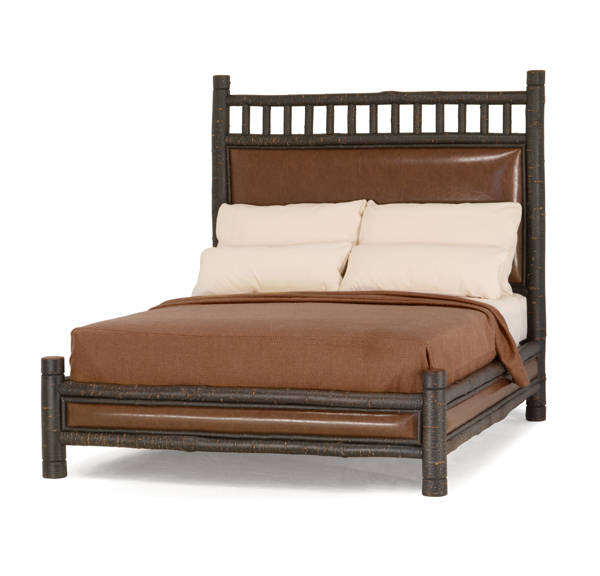 Rustic Bed #4502 is upholstered here in a rich chocolate brown leather, and its headboard reveals the interesting poplar “peg” treatment in Ebony finish on bark. Underneath, the masterful upholstery work of our exceptional craftsmen is evident, creating a clear example of style and strength. 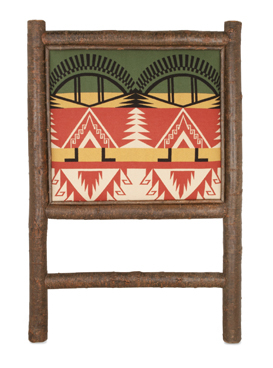 A merry trio of twin rustic headboards – upholstered in various brightly colored, eye-catching Navajo design woven wool fabrics – is part of an order commissioned for a children’s camp in Texas. Dreams of the day’s exciting adventures are sure to fill the heads of the very happy campers who sleep here! 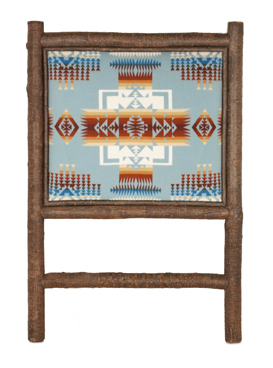 To see even more beautiful headboard and bed designs, check out La Lune Collection’s rustic bed selections .